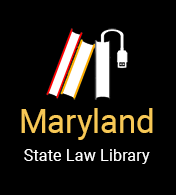 In Maryland, you can keep certain property even if you file for bankruptcy. This property is called "exempt". This exemption protects your work clothing (such as uniforms), books, tools, instruments or appliances used in your work. It does not include work-related items that you sell or trade. It does not protect a motor vehicle used for your work. This exemption protects money you receive from judgments, arbitration, insurance, benefits and compensation. It also includes money paid to you for loss of future earnings. You may protect money received for personal injury to you, including money you receive for mental injury caused by sexual harassment. However, this exemption is only for personal injury compensation. It does not include money you receive for injuries to your property. If you receive money for unfair wages in a sexual harassment case, this part of the compensation is not protected from creditors. Also this exemption does not include disability income benefits that you receive for necessities that you contract for after your disability started. There is no limit on the money you can protect under this exemption. This exemption protects not only your health aids but also health aids that belong to your dependents. There is no limit on the value of the items protected under this exemption. This exemption protects appliances, books, furniture, clothing, stereo equipment and even pets that belong to you or your dependents. It is unclear if firearms can be protected. This exemption applies to anything used in or around the house used to maintain the house or in your day-to-day living. Once a sheriff attaches or places a levy against your property, you must notify the court within 30 days to claim your exemption. This exemption can protect a certain amount of the value of your home, but see the law below for exceptions. The specific amount changes periodically. In June 2017, the amount was approximately $23,000.